Simply Debonair Dog Grooming is the place to go. Looking for dog grooming and pet supplies Wirral? We have two dog grooming salons, Prenton and the other in Heswall. We come highly recommended by our regulars for our friendly, caring and highly skilled grooming service. We will always take your wishes into account and groom your dog to the latest breed standard, show style or to the best style that suits yours and your pets requirements. We don’t sell anything we wouldn’t give our own dogs so if it’s first hand advice you’re after you’re in the ideal place! We strive to make the grooming salon an open, inviting environment that your dog will enjoy visiting and spending time in, being pampered and made to look even more beautiful than they did when they arrived. Our spacious grooming salon has room to accommodate both small and large breeds so no job is too big! The areas we serve are Heswall, Caldy, West Kirby, Prenton, Bidston, Woodchurch, and all across the Wirral. The process starts by giving your dog a thorough bath using high quality shampoos and conditioners which also covers flea treatment if required. This is followed by your dog being dried initially to remove excess water, then dried using one/or a combination of drying procedures using warm air driers. This process is to ensure your dog is completely at ease and happy. We aim to make Simply Debonair Dogs Wirral a warm and inviting place that you and your dog will love to visit! To book any grooming appointments either call your preferred shop, or book online! Initially your dog will be bathed and dried to allow the coat to be at it’s best for grooming. then he/she will be groomed and styled to your pre-specified requirements. We will then check your pets nails, clipping them if necessary. 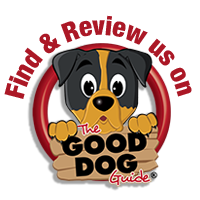 Your dogs ears and face are then cleansed and a generalcheck for lumps and bumps is carried out. Finally your dog will be deodorised with a gentle purfume which leaves your dog feeling and looking in tip top condition. We will first trim the dog’s nail, followed by a luxury beeswax treatment that applied to the paws to nourish and condition. Our wide range of pet supplies, gorgeous accessories and nutritious dog supplements have all been hand selected by our in-house pet stylists and uniquely curated by breed to make it easier for you – our customers – to find exactly what you’re looking for. Treat your treasured companion to a lavish bubble bath with a relaxing in-bath massage that will help soothe and relax tired muscles. Your pet’s coat will be cleansed with pet calming moisturising shampoo and a conditioning treatment using pet conditioning rinse will follow. This treatment also includes a luxury warm towel wrap and a spritz conditioning spray to finish. From tablets to relieve arthritis to fish oils for glossy coats, we have a great selection of dog health supplements for all kinds of ailments. Help your dog to enjoy a long, healthy life with these supplements. We aim to provide the best range of natural dog food UK dog owners can buy, with a great range of premium brands from the UK and Europe including Natural Instinct and Nutriment. Both of our stores have their very own set of special weighing scales designed specifically for weighing dogs. Bring your pooch along and our fully trained staff can weigh them and chat to you about healthy weights and diets.